Vacuum heat treatment is the combination of vacuum technology and heat treatment, which is the whole and part of the heat treatment process. Our country divides vacuum into low, medium, high and ultra high vacuum. At present, most vacuum heat treatment furnace has a vacuum degree of 1.33~1.33 x 10 inverse up3a. 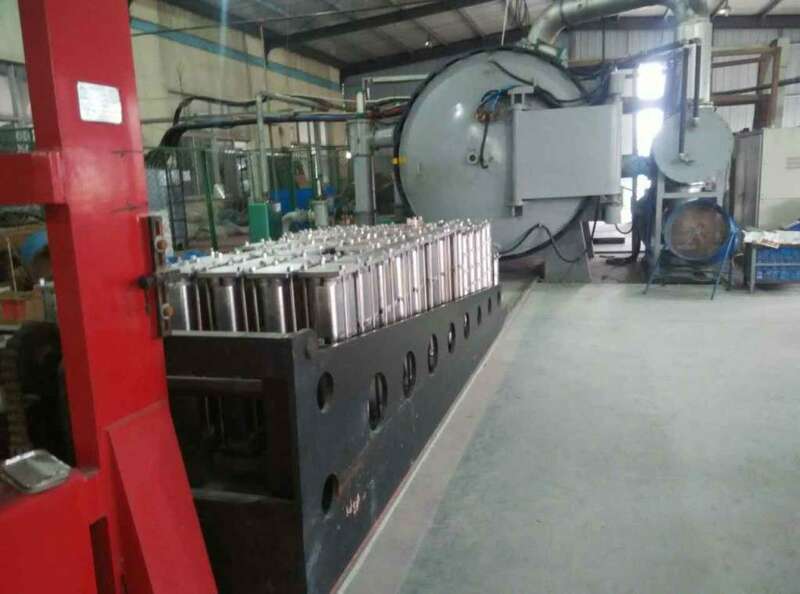 Vacuum heat treatment can achieve almost all heat treatment process, such as quenching, annealing, tempering, carburizing, nitriding, during the quenching process can realize gas quenching, quenching oil, water nitrate quenching, quenching, etc., can also be vacuum brazing, sintering and surface treatment, etc. Vacuum heat treatment furnace thermal efficiency is high, which can realize the rapid heating and cooling, which can realize no oxidation and decarburization, carburizing, can remove phosphorus crumbs on the surface of the workpiece, and has the effect such as degreasing degassing, so as to achieve the surface brightness purification effect. Generally speaking, the workpiece that is treated is heated slowly in the furnace, and the internal thermal temperature is small, and the thermal stress is small, thus the deformation is small. High quality of products. Can reduce cost, have degassing effect, improve the mechanical property and service life of work thereby. Good working environment, safe operation, no pollution and public hazards. The treated workpiece has no hydrogen embrittlement hazard. It is good for the stability and repeatability of the vacuum heat treatment process for titanium and refractory metal shell. This series of advantages, the development of vacuum heat treatment equipment and technology has been more and more attention and application.